5 Best Vitamin C Supplements | Eat This! Everyone knows that vitamin C is good for you, but there are so many vitamin C supplements on the market that it can be hard to choose one. You might think that all vitamin C is alike, but it isn’t. One thing we look for when choosing a vitamin C supplement is whether it is food-based or synthetic ascorbic acid made in labs. 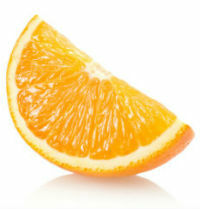 80% of the vitamin C on the market is synthesized in China using genetically modified microbes. Food based vitamin C is derived from foods rich in vitamin C rather than genetically modified organisms. It is also much easier to digest and can usually be taken on an empty stomach because it is essentially a food. Here are our picks for the 5 Best Vitamin C supplements. Lypo-Spheric Liposomal Vitamin C is the Vitamin C supplement that I personally take. The liposomal method of delivery allows your body to absorb more vitamin C. There’s a limit to how much vitamin C your body will absorb from tablets or capsules, but with the liposomal method of delivery helps your body to absorb much more. It comes in packets and you can mix it in water or just squeeze it into your mouth and chase with a bit of water like I do! The formula is GMO free, vegan, paleo friendly, and gluten free. Another great option is Nutrigold Vitamin C Gold , a natural, food-based vitamin C with bioflavanoids from organic fruits and berries. Each capsule contains 400% of the daily value of vitamin C from pomegranate, grapes, black currants, wild blueberries, concord grapes, sour cherries, wild elderberries, aronia, wild lingonberries, wild bilberries, wild cranberries, and black raspberries – all of them organic, of course! New Chapter Activated C Food Complex is a whole food probiotic vitamin C that contains bioflavanoids, polyphenols, and phytonutrients that enhance the activity of the vitamin C.
We love New Chapter products because they are food based, made from organic ingredients, and are easy to digest so they can be taken on an empty stomach. New Chapter Tiny Tablets C Food Complex are another option from New Chapter. They are extremely easy to take thanks to their “tiny tab” size. They have all the great things we love about the New Chapter Activated C Food Complex but in tablets that are small and great for people who have a hard time swallowing pills. Nature’s Way Alive Organic Vitamin C Capsules is another food based, organic option. Four capsules will give you 500 mg of vitamin C derived from organic goji berries, organic amla, organic acerola, and organic kiwi.